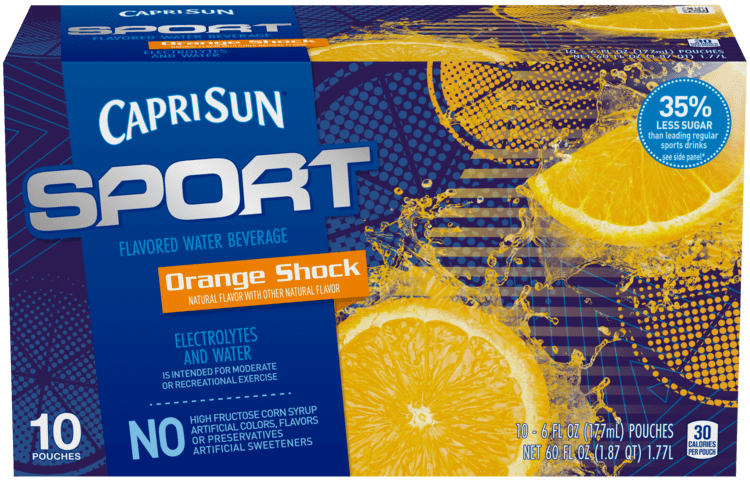 Capri Sun Sport Lemon Lime Rush is a refreshing kick of hydration your kids will crave. Designed to help fuel a day full of fun, it contains a blend of electrolytes and water, with no artificial colors, flavors, or preservatives. FILTERED WATER, SUGAR, CITRIC ACID, TRISODIUM CTIRATE, TRIPOTASSIUM CITRATE, STEVIA LEAF EXTRACT, NATURAL FLAVOR.